Tencent and Alibaba have pushed long-time leader China Mobile out of the top two spots for the fifth annual BandZTM Top 100 Most Valuable Chinese Brands in 2015, by leading global research agency Millward Brown in conjunction with WPP. The Top 100 Chinese Brands (previously the top 50) are valued at $464.2 billion, a rise of 59% since the ranking launched in 2011. This growth has outpaced the BrandZTM Top 100 Most Valuable Global Brands (up 41%). 10. Bank of China (financial institution): $11,861. In terms of value growth, state owned enterprises (SOEs) declined 9%. Brands from private enterprises, also known as ‘market-driven’ brands, have risen 97% since 2013. Analysis of the top 50 brands over the past five years shows a long-term trend: the rise of market-driven brands, growing 278%, compared with 6% for SOEs. Tencent, Alibaba and Baidu, are market-driven. Together the three represent nearly half (48%) of the value of the top 10. 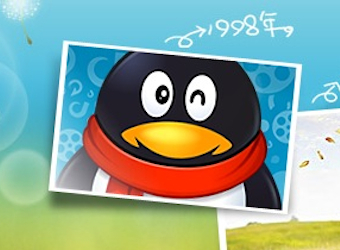 Tencent has nearly doubled its value in the past year. Technology companies account for 23% of the top 100’s total value, surpassing the financial institutions as the highest category. Retail, cars, technology are the fastest-growing categories. With a ‘phenomenal increase’ of 3,827% due to the inclusion of new entrant Alibaba, retail is the fastest growing category. The car category grew 141% in value, and technology increased by 78%. “Investment in brand, innovation and connecting with consumers will now be the critical success factors for brands operating in increasingly competitive categories,” says Roth.